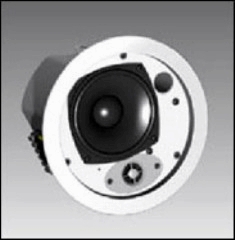 4� Two-Way Vented Ceiling Speaker. 30W Program and 15W Pink Noise Power Capacity. 8 ohms. Packaged with Backcan, Grille, Support Bracket and Tile Rails.